When designing with red in your home, balance is everything. A little bit of red can add a lot of excitement to a room, or be the perfect little pop of cheer - but going overboard with red can also feel angry and aggressive, so it’s important not to overdo it. One thing is certain, red is never boring. The specific shade of red can also carry a lot of different emotions with it, so it’s important to know what kind of feel you’re looking for in the room. 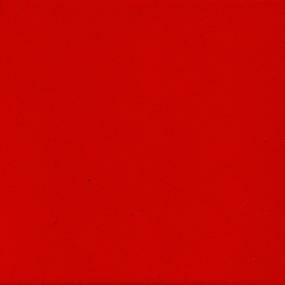 A bright, candy apple red can be fun and flirty, whereas a deep red conveys a much heavier feeling. Red is obviously one of the most attention-grabbing colors, so using it as an accent color is a great way to draw attention to objects in a room that may not otherwise be noticed. For example, a red area rug in a dining room can bring your attention front and center to the dining table. A red sofa and accent chair can easily become the focal point in a living room. And if you’re on the whimsical side, you can paint a quirky piece of furniture bright red and make it a statement piece. Red accents in art pieces and other decor can add interest and contrast in a lighter colored room. A red wall can also make a statement and liven up an otherwise dark or monochromatic room. Painting an entire room red can make it feel cozy and intimate, whereas using it on one wall can make a room look larger than it actually is. Red can warm up a room, or it can add drama depending on the colors used with it. The more contrast, the more drama. Reds that tend toward the yellow end of the spectrum provide a lot of energy to a room, whereas reds that lean more toward the blue end will be more calm. 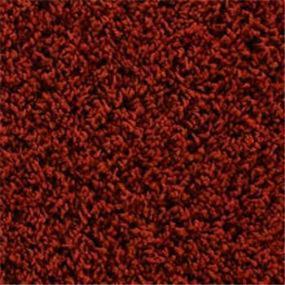 You can also incorporate red into your floor with tile or carpet, depending on the room, as well as in a backsplash in a kitchen or bathroom. Peruse the inspiration images for rooms showcasing red and add those you like to your myProSource Project Center. Then contact your local ProSource Showroom, whose experts can help you with your design ideas.